SuiteWorld 2019 started off with a bang at this morning’s Opening Keynote and this year it is all about growth! NetSuite’s Executive Vice President, Evan Goldberg took the stage after an exciting performance of We Will Rock You and continued to pump up the crowd. Evan then continued on to describe how today’s theme, Grow Beyond… A Blueprint for Growth applies to the history of NetSuite. 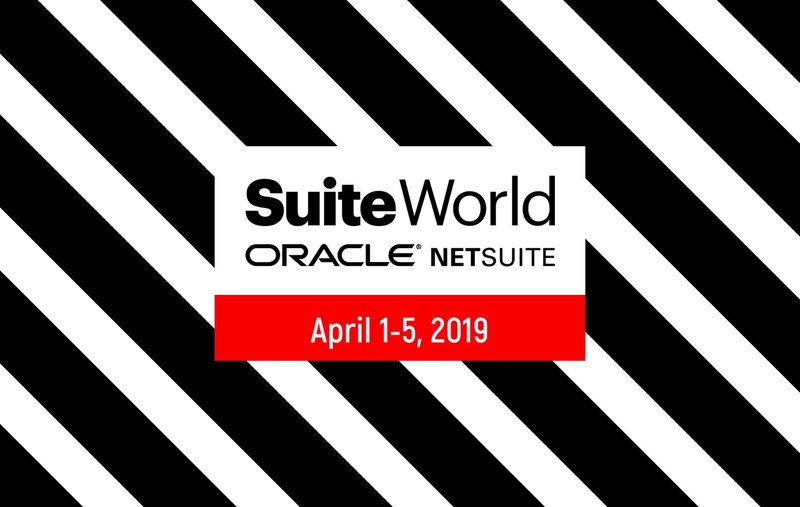 From starting out with a small team of ten people, coming across many twists and turns along the path, and then to the Oracle acquisition, NetSuite has experienced a lot of growth. NetSuite’s growth, in return, helps customers grow. NetSuite customers are growing three times faster than other companies. There are five key needs for growth which are visibility, agility, control, productivity, and collaboration. This keynote focused on the first three, visibility, agility and control. With the introduction to the first key to growth came the introduction of the first guest, Rob King with the American Cancer Society. The American Cancer Society is a 100 year old nonprofit with the goal of bringing awareness to cancer. In 1946 they launched a research program, which is now the hallmark of what they do. Especially with nonprofits, it is critical to have visibility with donors, volunteers and customers. For the American Cancer Society, there has to be constant visibility with their story and how they are making an impact every day. They have been going through a period of modernizing, including their financial systems, which is where NetSuite comes in. They launched NetSuite about a month ago to integrate with their other applications. It is essential to develop financial and CRM systems that mirror their customers. After discussing how NetSuite has been helping them, Rob introduced the Road to Recovery and brought up Cathy Patenaude. Cathy was diagnosed with CML Leukemia and lost her sight. She was able to find transportation through the Amercan Cancer Society. This program assists with transportation and lodging for patients that need it. Cathy and the American Society are asking attendees at the event to make pledges to help end cancer. Some examples are a pledge to wear sunscreen or a pledge to live tobacco free. NetSuite has offered to donate $10,000 if 2000 people make a pledge! The next key to growth is control, and with that Shawn Assad with Vice Media, and John Peto with Deloitte Digital were brought on stage. There are many factors that create chaos such as economic change, trade agreements, and human error. Control is how to take the outcomes and stay on the mission towards true north. Vice Media is a great example of the key to control in a rapidly evolving industry. As the media industry drastically changes, Vice Media continues to grow. They put out hundreds of millions of content monthly in over 30 countries. A couple things that Shawn stressed as important to growth are risk assessment and how important it is to challenge assumptions. Before NetSuite went live in January, Vice Media had three systems that didn’t communicate with each other. Some of the important features of NetSuite for them are its scalability, usability, easy user interface, and data security. John Peto had some thoughts to add to the conversation of control and growth. He stressed that the core to company growth is elevating the human experience. Growth is all about people. The companies that can forge authentic human connections will succeed in growth. The third and final key to growth is agility. The road towards growth and true north will never be straight. Agility is capitalizing on the opportunities that the many obstacles present. Kelly Leonard with The Second City was next on stage to explain how this is vital to their business. When The Second City began in 1959, there were no computers and the company was a theatre. Since then they have grown from being just a theatre to adding a content and education company as well. One benefit to using NetSuite with all of these changes is that NetSuite allows the numbers to talk to each other leaving room for people to focus on other things. The next guest brought to the stage was the guest everyone had been waiting for, actor, comedian. screenwriter and producer, Jason Sudeikis. He tied the whole theme together discussing how growth affected his career. Starting out as a child at basketball who was always performing, even when it was not the time for performing, and eventually growing up to star on Saturday Night Live, with people like Tina Fey who went from heroes to mentors to friends. He discussed starting a theatre in Las Vegas and performing for 8 people per show in the beginning. Through word of mouth campaigns focusing on inviting taxi drivers who might then suggest the show to passengers, he was able to grow the popularity and attendance of the theatre. He is now involved in charities such as Big Slick, which raises money for Children’s Mercy and Thunder Gong, a charity concert that raises money for people who don’t have access to affordable prosthetic legs. His final advice for not only entrepreneurs, but pretty much all other aspects of life is active listening. Putting in that effort can have huge benefits. Last to the stage was Mark Hurd, the Chief Executive Officer at Oracle. He touched on each of the three keys to growth. He said that it is important to keep visibility as close to the ground as possible. The best way to inject agility is being able to agree strategically. The best way to maintain control is to be the first to communicate what needs to get done. Be sure to communicate with clarity internally and externally. His final thought was that he is keeping the promise that was added to the press release when Oracle acquired NetSuite. He expects NetSuite to go on forever. Oracle is continuing to invest in the product because it is adding new countries, new sales people, and new R&D. Stop by to see Techfino at booth #1180 and check out our blog again tomorrow to hear about the next keynote featuring Shaquille O’Neal!